Soda is a very important component of a bar, both when you’re taking about flavored sodas – like Coke – and unflavored soda water because soda is used as a mixer in so many drinks. Many cocktail lovers feel that they’ve evolved beyond a Jack and Coke, though it is one of the most-served drinks in bars across the country, once they discover craft cocktails. It’s true that a Jack and Coke might not be the most sophisticated drink out there, but the combination works and the same holds true for other sodas, as well. The Paloma cocktail is a drink made with tequila, lime juice and Squirt. It’s a drink that I often see served in Mexican restaurants and it’s really an excellent cocktail. 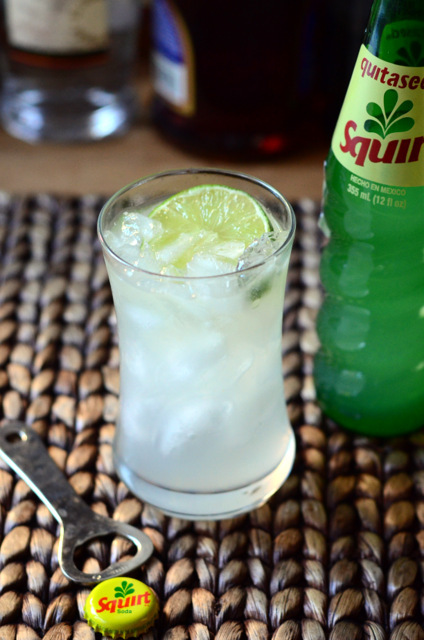 Squirt – in case you’re not familiar with it – is a grapefruit flavored soda that is pretty damn good. 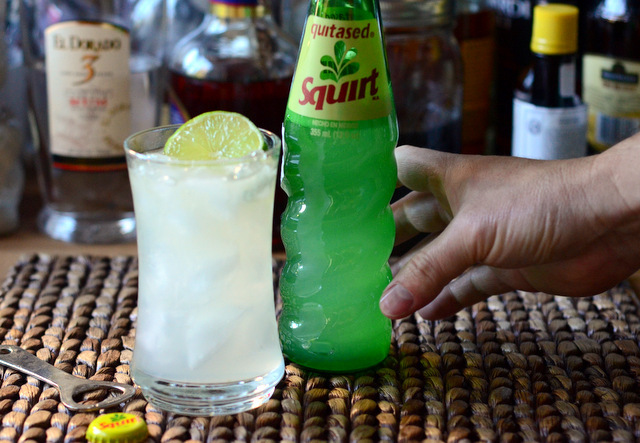 The regular variety that you can buy canned in the supermarket will still make a good drink, but I highly recommend seeking out Mexican Squirt which, like Mexican Coke, seems to taste a lot better than the regular variety. One bottle of Squirt will be enough for at least two drinks, depending on what sort of glassware you’re using, so you can make one for yourself and one for a friend. Pour the tequila and lime juice into a tall glass filled with ice. Add a pinch of salt. Top with Squirt and gently stir. Garnish with a lime wedge. *If you have a real craving for salt, you can even salt the rim of this cocktail, just as you would with a Margarita.